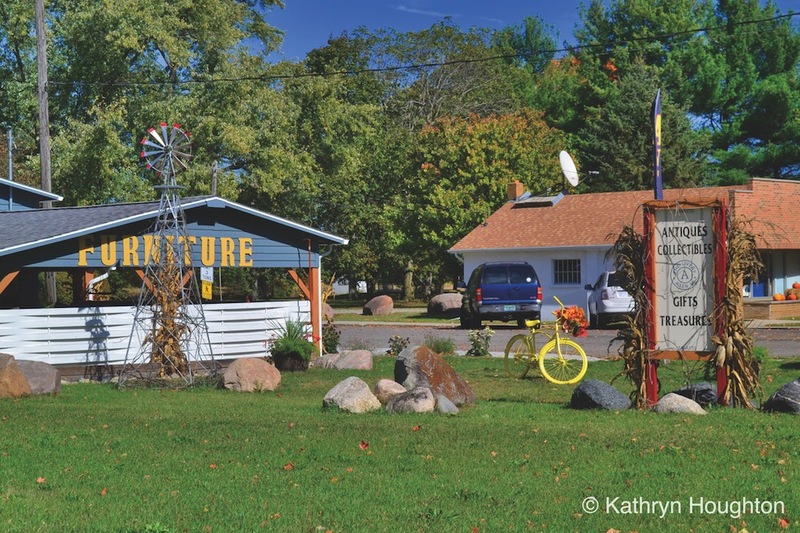 In her book Little Michigan, Kathryn Houghton takes a nostalgic look at Michigan’s smallest towns; today, she takes us to Allen, the Antiques Capital of the World. The town built its first high school in 1869. Though the building burned down in 1913, the community came together to approve the building of a new school within a few weeks of the fire. First built in 1879, the Robert and Barbara Watkins Home still stands in Allen. The house has recently undergone extensive restoration to ensure that it continues to stand in Allen. 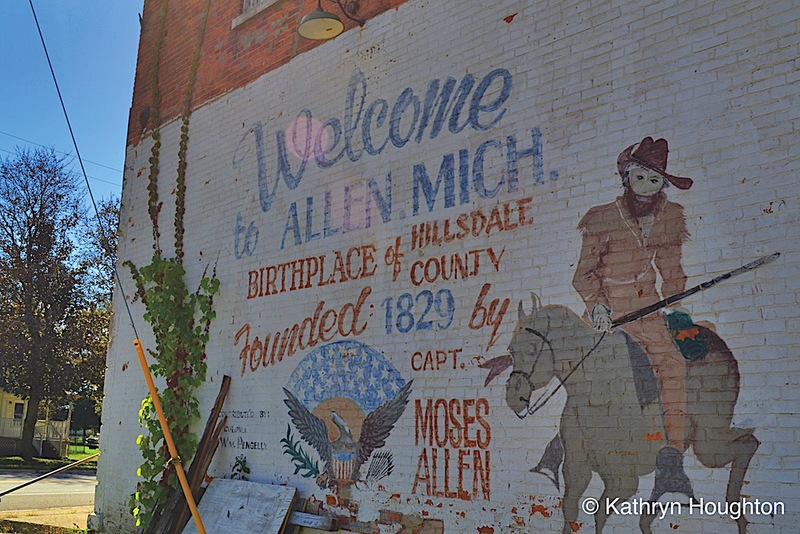 Allen, though a small community of less than 200 people, is a historically important place. Before European settlers came to the area, the town’s present location was the intersection of two main trails, the Great Trail and the Sauk Trail. The American Indians called the area where the town now sits Mascootahsiac, roughly translated as Sand Prairie Creek. The area was first surveyed by a team that included Captain Moses Allen, a veteran of the War of 1812. When he came to the area, he found it to be a prime place to bring his family. He settled there in 1827 and called the place Allen’s Prairie. The town was the first full settlement in Hillsdale County, and the first school in Hillsdale County opened here in 1831. A hotel opened in the village in 1837; after it was painted pink, locals called it the Old Pink Tavern. Another famous early dwelling was the Allen House. First built in the late 1830s, it was a tavern in the mid-1840s. By the 1860s, the town had grown to include a blacksmith, a carriage shop, a few smaller stores, a mercantile, a drugstore, and two churches. The first post office in town was opened when the settlement was still called Allen’s Prairie, but the post office itself was called Sylvanus. It did not change to the name to Allen until 1849, and the village was not officially platted until 1868. Two additions to the plat followed, first in 1869 and then in 1871. Allen may be a small town, but, in one area, it’s the biggest. 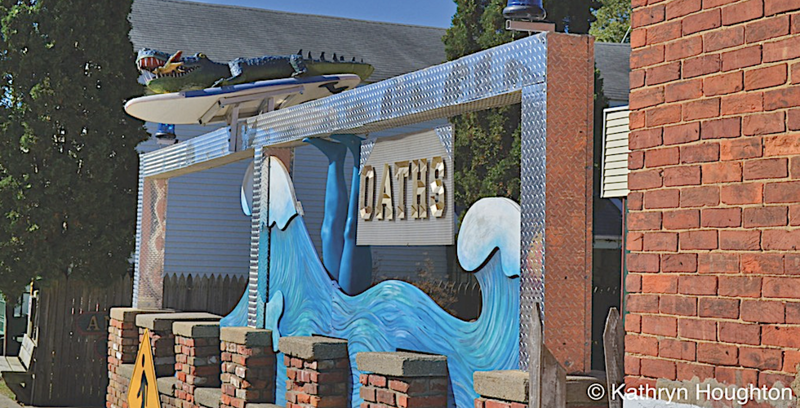 Known as the Antique Capital of the World, the town has dozens of historic buildings and antiques shops. 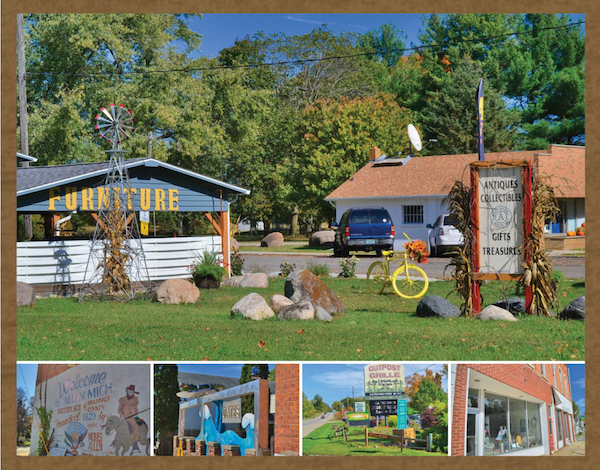 There is the Hog Creek Antique Mall, the Allen Antique Barn, Capital Antiques, Preston’s Antique Gaslight Village, and the Allen Antique Mall, among others. Today, the town is located on U.S. Highway 12, with Railroad Street being the main north-south road, leaving the village looking a bit like a cross. 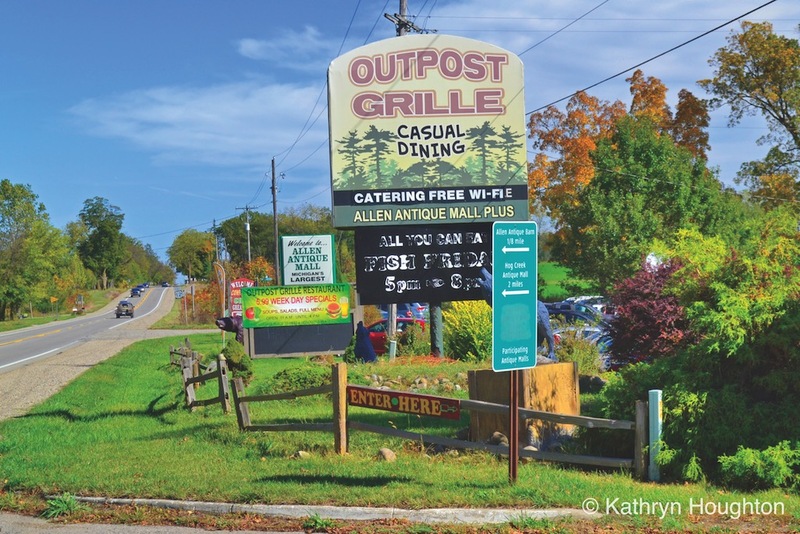 The antiques stores are on US-12, but Allen is not only a town for antiques. Madigan’s Sports Pub is located on the western side of town, and closer to downtown there is also an oil and gas company, a fire department, a post office, and a historical museum. A building in the downtown area is for the Knights of Pythias and Pythias Sisters. There is a park in the middle of town that has a gazebo and a playground. The park also includes a memorial to Assistant Chief Wilson of the Allen Police Department, who was killed in the line of duty in 1954. Allen is also served by two churches: a Baptist church and a United Methodist church. If you enjoyed this post, sign up for our newsletter here. Can You Count the Critters? Check out our award winning children's books. Adventure Publications is renowned for its popular, informative, user-friendly books. With a focus on nature titles, travel books, regional field guides and cookbooks, Adventure offers top-selling titles for almost every U.S. state. Great books, great sales, great services—that’s what Adventure Publications is all about.